The results of 2018 made it clear that if Republicans want to win elections they need to make sure to do at least one thing right—support/embrace President Trump and his America First Agenda. It is well-documented that both political parties in Congress have figured out how to use the levers of power — to stay in power. Congressional leaders, especially those in the majority, use their positions to raise millions of dollars in campaign contributions. Given that money usually equates to campaign success for the majority, one must work pretty hard to lose control of the House of Representatives. But it can be done, as Democrats demonstrated in 1994, Republicans in 2006, Democrats in 2010, and Republicans again in 2018. As a political scientist and former congressman, I understand that it’s difficult to know exactly why voters reject any candidate. However, flipping the House is pretty simple to explain. In fact, both Speakers Paul Ryan (R-Wis.) and Nancy Pelosi (D-Calif.) offered the same answer: hyper-localize your race — that is, ignore national issues and focus like a laser on local issues. Unfortunately for Republicans, the advice only works Democrats. Don’t agree with me? Ask Senators-elect Marsha Blackburn (R-Tenn.), Mike Braun (R-Ind. ), Josh Hawley (R-Mo. ), and Kevin Cramer (R-N.D.). President Trump and Majority Leader Mitch McConnell (R-Ky.) successfully nationalized multiple Senate races, with the help provided by radical leftist opposition to Justice Brett Kavanaugh. Senate (and a few House) candidates who joined in the nationalization effort were rewarded and won. With this Republican unwillingness to team up with Trump and his economy, voters struggled to recall anything positive delivered by the House majority. All they could remember were failed promises. For instance, after eight years of campaign pledges, congressional Republicans kept ObamaCare — despite all of its many failures. And instead of balancing the budget, Republicans passed the biggest budget in history. With no national vision by Republican leaders, combined with the dramatic failures to deliver and no Democrats to blame, no amount of hyper-localizing their races by talking about opioids, open spaces, or over-regulation could save dozens of Republican candidates. However, for Democrats, hyper-localizing is political heaven. If you look back at the two recent times Democrats were kicked out of the House majority, it was after they openly admitted their grandiose visions for big government — first with Clinton and then with Obama. In both 1994 and 2010, voters rose up and said enough is enough. In other years, Democrats slowly and methodically plodded along their progressive path without riling up the too much opposition, and they were rewarded with seemingly permanent majorities. But when you nationalize healthcare or pass a trillion-dollar stimulus, that simply reveals too much of the Democrat agenda for a lot of voters. So, nationalizing is good for Republicans, but it’s bad for Democrats. Hyper-localizing is good for Democrats, but it’s horrible for Republicans. Where does this leave House Republicans for the next two years? First, 2018 isn’t over yet. There are ample lame-duck opportunities for Republicans to begin reestablishing trust with their voters by making a down payment on Trump’s wall, supporting Trump’s executive rollback of Obamacare, cutting government spending, and approving dozens of Trump appointees. They even have a chance to tackle entitlement spending before Paul Ryan retires, by including food stamp work requirements in the Farm Bill. Second, whether lame-duck Republicans keep their word or not, the incoming House minority has one path back to the majority: Defend President Trump, the conservative agenda, and the strong economy from the socialist wing of the Democratic Party. There will be Democratic investigation after investigation, congressional letters infinitum, and subpoenas galore. But by standing with the president, his appointees, and his voter base, House Republicans will help nationalize the election and likely be rewarded with a majority in 2021. A House Democrat majority and a loud socialist Senate minority can play havoc with Republicans for two years, but President Trump has his own pen and phone. Last, a note of warning to Washington, D.C. Republicans and the center-right movement: Beware of Google and the social media giants of YouTube, Facebook, Twitter. They have the means, motive, and opportunity to ensure this nationalization strategy fails. As the most powerful sector of the economy, these corporate giants have the means to influence elections — certainly more than a few Russian bots! Leaked videos reveal massive anti-Trump, pro-socialism groupthink, proving they have the motive. And with their nearly complete monopoly of the most impactful medium in the modern world, no one can argue that they don’t have the opportunity. The next two years could help shape the future of the country — and, indeed, the world — for years to come. Republicans can’t afford to ignore the lessons of 2018. Hon. Tim Huelskamp, Ph.D. (@CongHuelskamp) is the president and CEO of The Heartland Institute. He represented Kansas in the United States House from 2011-17. President Trump amassed an impressive list of 2018 Midterm victories for those candidates he supported. He also focused on the Senate more than the House. The results appear to compliment that fact and the reality that the ‘Trump effect’ is real and for Republicans greatly improves a candidate’s chances of winning. 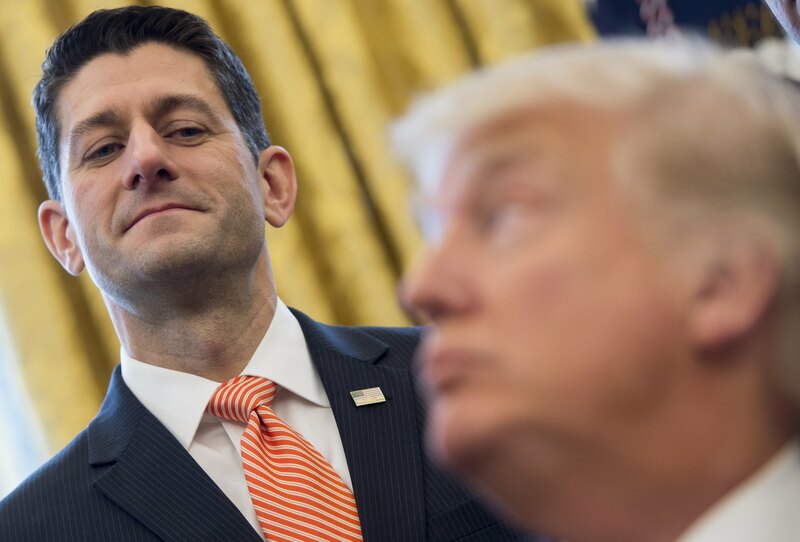 Paul Ryan despises President Trump. That is no secret. What has members of Speaker Ryan’s own party concerned, even outraged, is the extent to which Mr. Ryan has been willing to collude with the enemies of Trump to try and halt the President’s America-First agenda, including, but not limited to, alleged behind-closed-doors partnerships with Democrats to influence the pending 2018 Midterm Elections. Rep. Steve King (R-IA) told Breitbart News Tonight earlier this week that House Republicans are considering forcibly removing House Speaker Paul Ryan from the speakership via a “motion to vacate the chair” over Ryan’s efforts to undermine President Donald Trump’s agenda. …A motion to vacate the chair would call a referendum on Ryan’s speakership to the floor. It could force a vote on whether Republicans want Ryan to remain as speaker as a lame duck for the rest of the year, especially after all these failures in strategy and his efforts to undermine the president with an amnesty bill that the president opposes and said he “certainly” would never sign. Ryan claimed, falsely, to House Republican members recently in a conference meeting that the president did support the Ryan amnesty bill–something the president confirmed on Fox and Friends on Friday morning was not true. The president opposes the bill and Ryan’s continued claims that Trump did back the bill are now proven to be false. The fact that sitting House Republican members are contemplating calling forth a motion to vacate the chair–the same mechanism forced Ryan’s predecessor, now former House Speaker John Boehner into early retirement–is remarkable. He announced earlier this year he intends to serve out the rest of this term in Congress then retire at the beginning of next year. That thrust Ryan into a lame duck status in the speakership, meaning he has lost a significant amount of influence. Ryan’s dwindling influence is costing him support across the party. One House GOP aide from a moderate office whose member sits on the House Appropriations Committee confirmed to Breitbart News that if offered the opportunity again to vote on whether Ryan should remain Speaker, that the member would vote against it. Conservatives across the party have been calling for Ryan to step aside now from the Speakership, with Rep. Paul Gosar (R-AZ) saying in a previous Breitbart News radio interview that Ryan should not be allowed to stay as a lame duck speaker–especially while he’s opposing the president’s agenda on immigration, trade, national security, and more. Ryan has deliberately undercut the president repeatedly as Speaker. During the 2016 presidential campaign, Ryan infamously cut ties with Trump and abandoned the now-president’s campaign in early October over the release of the notorious Access Hollywood tape. In leaked audio of Ryan with House Republican members obtained by Breitbart News and published in early 2017, the Speaker threw in with the Never Trump movement by declaring he would never side with the president. “I am not going to defend Donald Trump—not now, not in the future,” Ryan said on that call, declaring boldly his alignment with the Never Trump movement in that he will never defend the president. Ryan is directly responsible for the legislative screw-ups on healthcare which cost President Trump the ability to sign into law a repeal of Obamacare, because Ryan’s original bill last year sent the entire process into disarray that ended with the now-famous thumbs-down from Sen. John McCain (R-AZ) on the floor of the Senate. All of that could have been avoided had Ryan worked with conservatives and supporters of the president in the beginning to have a more smooth process in the House. Ryan has opposed key elements of the Trump agenda, specifically on trade and tariffs, repeatedly over the course of the past year. “I disagree with this action and fear its unintended consequences,” Ryan said in a statement when President Trump introduced steel and aluminum tariffs. Now, the latest intransigent action by Ryan is the introduction of an amnesty bill that the president explicitly opposes–and the lie by Ryan that the president somehow supported it. Ryan repeatedly claimed to House members that President Trump backed the bill, when the president had not weighed in on it publicly. The first time the president weighed in on it was Friday morning in a Fox and Friends interview where Trump explicitly said he will never sign Ryan’s bill into law. President Trump signed the 1.2 trillion dollar Omnibus bill today with open frustration over both the process and the product of that bill. Meanwhile, Nancy Pelosi and Chuck Schumer heaped praise on Republican House Speaker Paul Ryan and Republican Senate Majority Leader Mitch McConnell for their help in what Pelosi called a great bill for the American worker. What wasn’t said was how the Republican and Democrat leadership worked together to force POTUS Trump’s hand and create a voter backlash they hope will fracture Mr. Trump’s base of support among millions of Americans. “How could he sign this bill?” said one Trump supporter on Twitter. “WTF??? This was the opposite of MAGA,” said another. “Trump just gave 1.2 trillion to the swamp,” was another comment. If the above reactions represent the feelings of a majority of Trump supporters it might very well be the first real crisis of support for the President – an outcome that is exactly what Paul Ryan, Mitch McConnell, Nancy Pelosi, and Chuck Schumer were hoping for. The media hasn’t mentioned it much because it proves that Donald Trump is decisively outmaneuvering the opposition Republicans. The tactic was simple. Mr. Trump reached out to Democrats with a basic “can we get something done for the American people?” request. This put enormous pressure on Paul Ryan and his cadre of obstructionist Republicans to start moving on at least some of the Trump agenda. This is Ryan buckling under that pressure. This is Ryan conceding the power of Trump and the millions of Trump supporters have forced his hand. There was certainly some DACA negotiation behind the scenes – as well as Trump’s demand for real tax relief for Middle Class Americans and American business. After about six months settling in and figuring out the angles of the D.C. snake pit, Trump is unleashing an Art of the Deal offense upon the opposition and they appear unable to stop him – at least for now. Every single POTUS Trump supporter who raised a voice in support of their president helped to push Speaker Ryan to bend the knee. Keep it up. You have real power and you’re scaring the hell out of Washington D.C.
His record makes clear how Paul Ryan is not working for the American people or his own Wisconsin constituents. He is a globalist Establishment pawn doing all he can to NOT Make America Great Again. Will Paul Ryan and all the other spineless politicians like him pay attention? The American people voted for real change in 2016 – a vote that represents something much bigger than Donald Trump. Some have suggested the Republican Party died out years ago but they just didn’t realize it yet. House Speaker Paul Ryan and Senate Majority Leader Mitch McConnell had no intention of allowing POTUS Trump to claim a victory over the disastrously failed Obamacare legislation. Instead, both members of Congress orchestrated pathetic shams disguised as reform and peddled it to an understandably underwhelmed Republicans in the House and Senate while at the same time pushing away any potential help from Democrats. Ryan and McConnell wanted the bills to fail because their lobbyist masters demanded it so. The Senate Obamacare bill does not repeal Obamacare, it keeps it. It keeps the majority of the Obamacare taxes. It keeps 10 out of 12 of the major Obamacare regulations. It allows continued, unsustainable expansion of Medicaid beyond the poor and disabled. It continues the idea that insurance should be subsidized by the taxpayers for nearly everyone, and it has a $200 billion dollar bailout for insurance companies. It’s not what I ran on. It’s not what any of my colleagues ran on. Mr. Paul is right. The McConnell version of “Obamacare repeal” was little more than another version of Obamacare itself. McConnell knew such a plan wouldn’t fly with some members of a slim majority Republican Senate. The failure to pass any repeal of any form was intentional on his part. The true intent is to paint D.C. politics as frozen in place by a chaotic and unqualified Trump White House. It is why Speaker Ryan is so quick to comment to the media about whatever nothing-burger anti-Trump propaganda is being promoted by the press that day. Ryan is far more motivated by anything that further embarrasses and isolates Donald Trump than he is toward anything that could actually benefit America. Ryan put forth a House bill that would never reach POTUS Trump’s desk. McConnell did the same in the Senate. Both men were taking orders directly from the insurance and drug company lobbies. As for the needs and interests of everyday Americans? Ryan and McConnell couldn’t care less.